Find the perfect coffee table for your office lounge, lobby, or waiting room today. 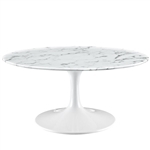 Office Furniture Deals provides designer accent tables and glass coffee tables from industry leading brands like Global Total Office, Mayline, and OFM. 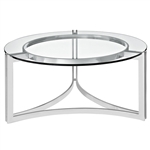 All of the designer coffee tables for sale here include free shipping for added value. Need help selecting seating and additional waiting area furniture to compliment the coffee tables you've found here? Contact us direct at 800-456-6746. With best selling coffee tables available at up to 60% off retail, meeting your decor needs and budget has never been easier! Your Price: $503.75 + FREE Shipping! Your Price: $362.00 + FREE Shipping! Your Price: $485.25 + FREE Shipping! Your Price: $293.75 + FREE Shipping! Your Price: $335.00 + FREE Shipping! Your Price: $373.00 + FREE Shipping! Your Price: $546.75 + FREE Shipping! Your Price: $255.00 + FREE Shipping! Your Price: $392.00 + FREE Shipping! Your Price: $718.25 + FREE Shipping! Your Price: $689.99 + FREE Shipping! Your Price: $515.50 + FREE Shipping! Your Price: $475.99 + Free Shipping! Your Price: $546.99 + Free Shipping! Your Price: $717.99 + Free Shipping! Your Price: $754.99 + Free Shipping!